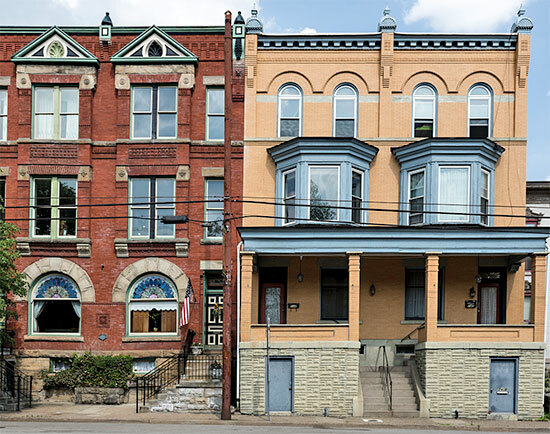 The 2300 block of Chapline Street has been an integral part of Wheeling, West Virginia’s urban streetscape for well over one hundred years. The seven structures shown have changed little since they were built. 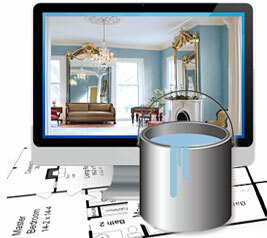 They possess a strong cohesiveness which is the result of the similarity of their architectural design. 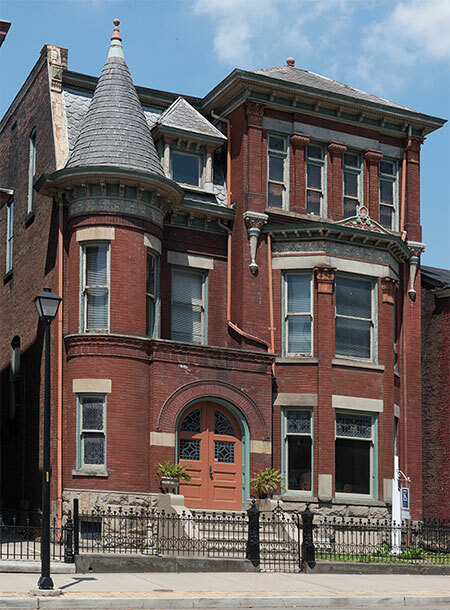 Their scale, relative proportions, relation of materials, and the general workmanship have produced a neighborhood of individual units which collectively create a strong sense of nineteenth century Wheeling. 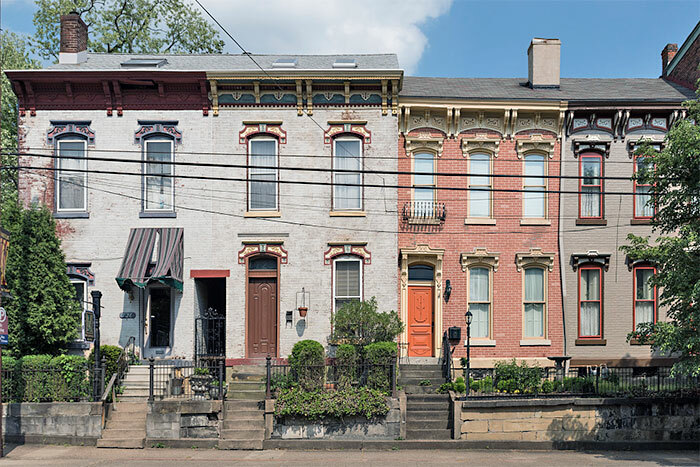 The homes on this block of Chapline Street have been described as the best extant example of a series of high style Victorian structures in West Virginia. Today the houses continue to display the charm of 19th century architecture with front landscaping and decorative metal fencing. One of several Victorian-style homes on Chapline Street. All the structures blend together smoothly with no open spaces. All the houses are brick with sandstone foundations. Other materials include slate, molded brick, molded tile, molded and carved wood. 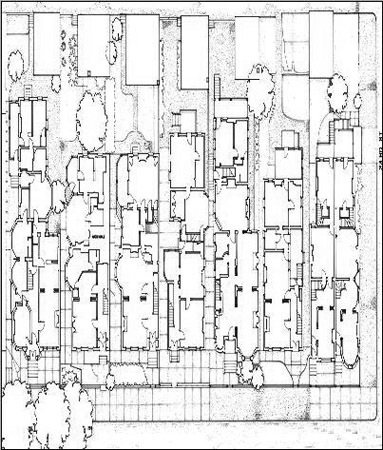 This 1970s survey drawing features the ground floor plan of the seven row houses of the 2300 block of Chapline Street. These black and white 1970s photographs illustrate the disrepair of these historic houses thirty years ago and allows one to appreciate the effort taken more recently to preserve such treasures. Source: Historic American Buildings Survey/Historic American Engineering Record/Historic American Landscapes Survey, # HABS WV-188. 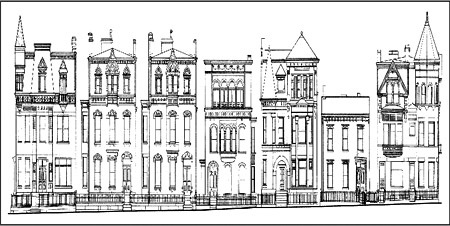 Drawings: Chapline Street Row Historic District. Mark L. Hall, Ed Freeman, ca. 1976.